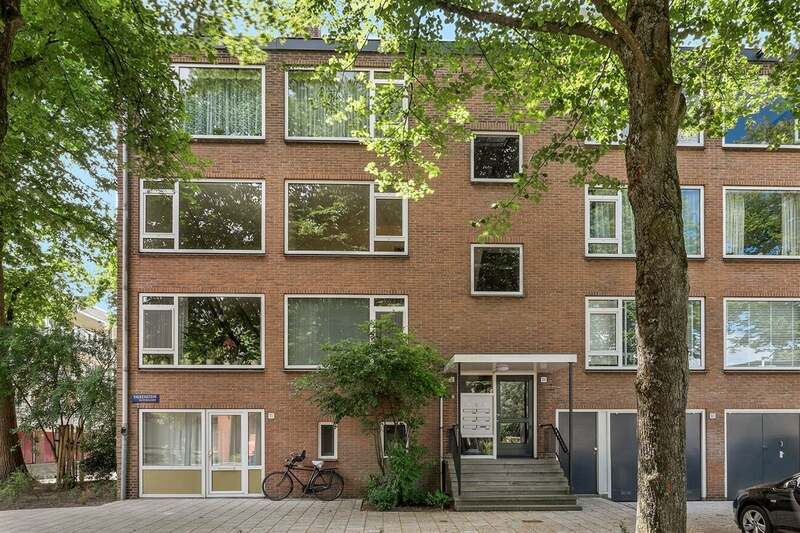 Luxury apartment with 3 bedrooms, completely renovated in a quiet residential area in Amsterdam Buitenveldert. The apartment is on the 2nd floor. Buitenveldert in the south of Amsterdam is a 10-minute walk from the World Trade Center and a 5-minute walk from the Gelderlandplein shopping center. close to the Amstelpark. public transport several buses, Metro Rai station and Amsterdam south. Highway is 2 minutes away. Large and open hall; with access to the beautiful and very bright living room, with 2 large windows, lots of natural daylight, an open, very modern kitchen with all modern appliances, a combi oven, fridge and freezer, dishwasher. A sunny balcony overlooking a green field with trees. 2 large bedrooms with a double bed and a smaller guest / study room. Very modern bathroom with a rain shower and the second toilet. The apartment is perfect for a family, close to the international school, but also perfect for sharing for 2 colleagues.